Kalman Kemeny was born and trained in Budapest, Hungary, and served as an officer, commissioned as the youngest Official War Artist with the Austro-Hungarian army on the Italian and Eastern Fronts between 1915 and 1917. His memories of this period were later recorded by the Imperial War Museum. He attended the Academy of Creative Arts in Vienna as a graduate (1920-23) and postgraduate (1923-25). In 1925 he moved to Pilsen, Czechoslovakia, immigrating to England in 1938. He settled in London and during the Second World War worked in an aircraft factory and as a fire-watcher, while continuing to practise as an artist, painting portraits, landscapes and still lives. Postwar he taught at Hammersmith College of Art (1947-79) and was for some years advisor to the House of Commons Fine Art Committee. He also served on the Ben Uri Arts Committee in the 1950s. 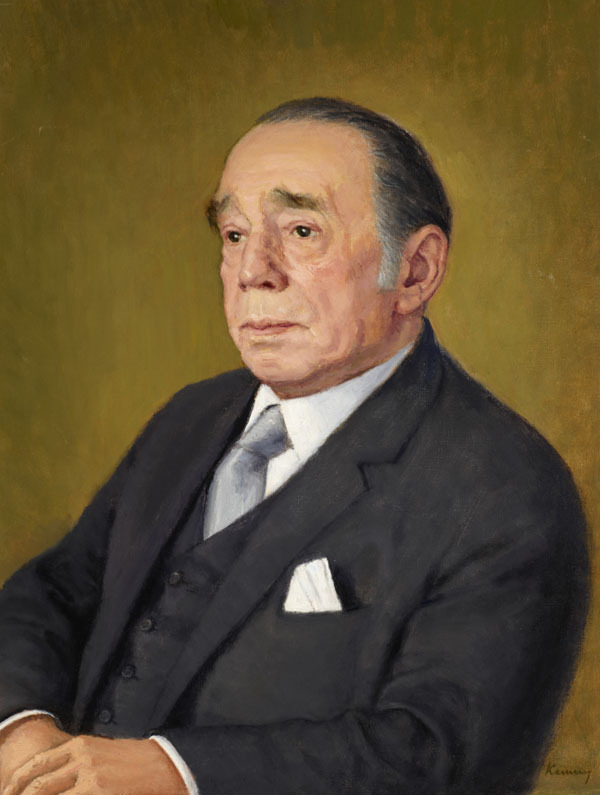 This portrait was commissioned by the Ben Uri Art Society in 1945 as a prize in a portrait painting competition and was one of a pair of two of its most prominent members (the other being of Cyril Ross). Mrs Solomon was a Vice-President of Ben Uri during the 1930s and a member of the postwar Arts Committee. Her husband was President of the Jewish National Fund in England. 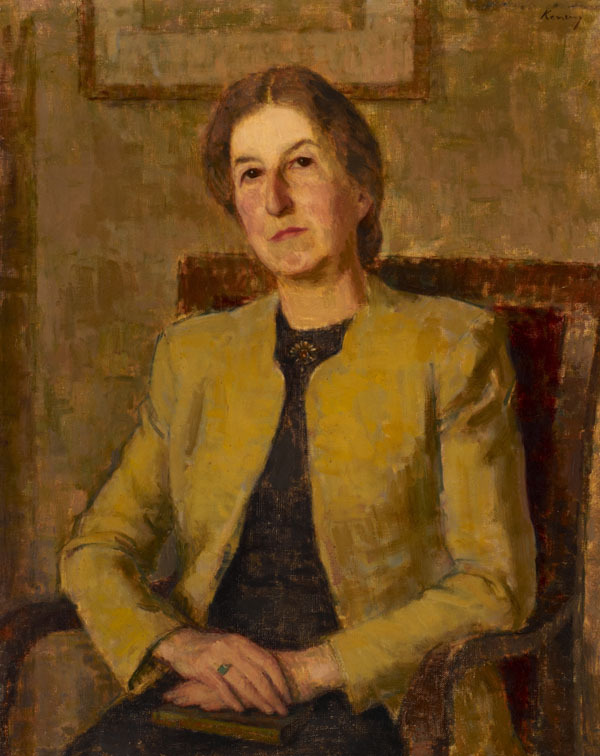 Kemeny worked within the Realist tradition: the thinly applied paint and careful precision are reminiscent of the Euston Road School of Painting, presided over by William Coldstream, with the muted palette offset by touches of colour reflecting the austerity of Britain in the postwar period. In 1947 A.K.S. of the 'Jewish Chronicle' described the portrait as 'a diligent and precise exercise in tone values and a highly successful picture'.